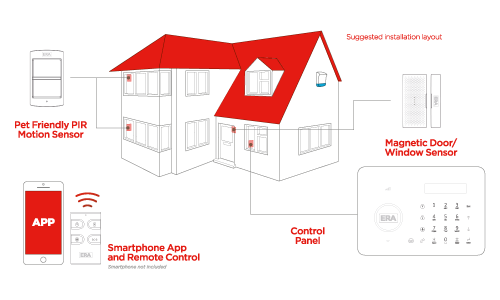 The ERA Invincible is the most Elite Smart Home Alarm System within the range, offering a high specification alarm that is easy to install. It works on a dual network which means it can use GSM/GPRS (mobile signal or SMS via a Sim card)or PTSN (landline) to communicate and can be accessed via an app from anywhere in the world. 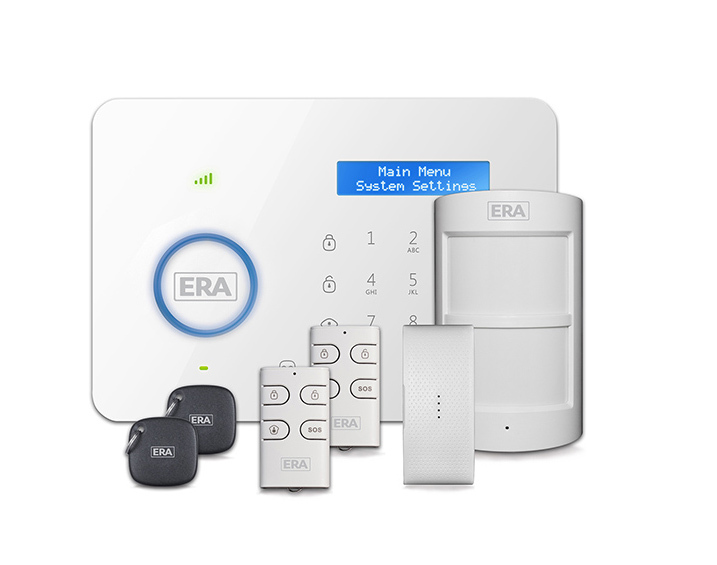 The ERA Invincible system is easy to set up and comes pre-paired with the sensors and remotes included in the kit along with quick pairing functionality to allow additional accessories to be added easily as and when you choose. This system has multiple alerts including push notifications of who armed and disarm the alarm, intrusion by zone, power failures/recoveries and personalised alerts, “Jodie has disarmed the alarm”. Note: A maximum no. of accessories can be used per kit. 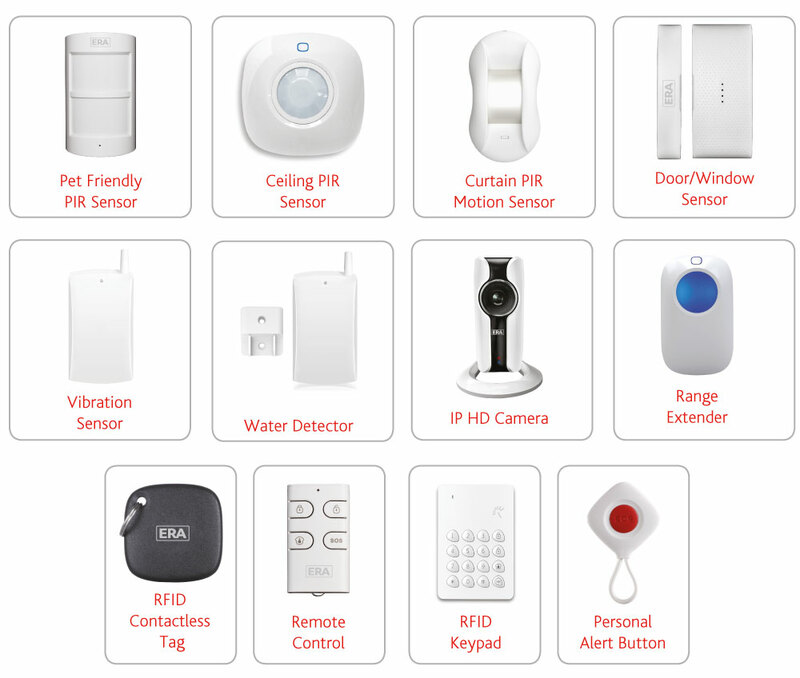 For the ERA Invincible the maximum number of accessories is 50 Sensors, 10 Remote Controls, 50 Tags.